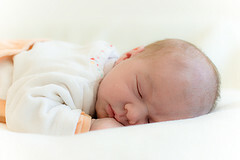 A newborn baby is precious. Any parent will tell you that watching an infant grow with each day is nothing short of miraculous. An honest parent will also admit that caring for a newborn is hard work. There are countless products intended to help parents care for their babies. Unfortunately, our San Francisco product liability law firm knows that far too many of these products are unsafe and that dangerous baby products can lead to injury or even death. Recent headlines, including a report by ABC News, discussed an unusual twist on a product recall. The Consumer Product Safety Commission (“CPSC”) has received seventy complaints, including five reports of infant death, related to a product advertised as a portable recliner for infants. The accidents included babies falling out of the seat and hitting their head or becoming trapped and suffocating between the seat and a crib or other item. In other cases, the infants were found dangling from the recliner’s straps. In early December, several retailers agreed to stop selling the Nap Nanny as a result of these reports. After the product’s manufacturer refused to recall the item, Amazon.com, Toys R Us/Babies R Us, Best Buy, and Diapers.com all took the unusual step of issuing their own recall. The stores suggested people stop using the Nap Nanny recliner and offered customers the opportunity to return the item (typically priced around $125). The CPSC, via spokesperson Scott Wolfson, praised the retailers for the move. An estimated 150,000 Nap Nanny recliners have been sold since the product was introduced in 2009. Leslie Gudel, a mom and sportscaster, designed and sold the product through her company, Baby Matters. Reports indicate that Baby Matters declined to cooperate with the CPSC in issuing a mandatory recall. Instead, Gudel suggests the product is safe if used per the instructions and that the complaints involved consumers who improperly placed the seat on a table or neglected to strap the infant in correctly. The product did go through a redesign following the first reported death in 2010 when the company raised the sides of the seat, added warnings, and created an online instructional video. However, the CPSC reports that injuries and deaths continued and the agency contends the Nap Nanny contains design defects and defects in the warnings and instructions that accompany the product. Some news reports specifically noted the accidents occurred despite the use of the included harness restraint. The store-driven recall is unusual. Also unusual is the decision of the CPSC to sue Baby Matters. The suit, filed last month, seeks to force the company to recall the Nap Nanny. Wolfson notes this is crucial since many consumers purchased the item from small stores and are not covered by the retailer recall. Gudel says the dispute has forced her to close her company, but she continues to defend the product despite the CPSC and retailer actions. Babies rely on the protection of their parents and other loved ones. In turn, these adults should be able to trust that the products they purchase to help them care for their children are safe. This is especially important with newborns because they are vulnerable to suffering serious consequences from a head trauma or oxygen deprivation. No lawsuit can reverse a serious injury or bring back a lost child. However, a civil claim can provide monetary compensation that can help with expenses such as medical bills and other costs that can stem from a serious injury with life-long consequences. In the most tragic of cases, the money can also help with final expenses. Our San Francisco product injury lawyer knows it isn’t only about winning monetary compensation. The civil justice system is also about accountability. In addition to holding a company responsible for one event, the threat of potential future claims can help prevent future injuries and deaths by making a company factor safety into their economic calculations. One would hope safety would be enough of a goal in itself, but some companies need to see it on their bottom-line accounts before they make safety a priority. If you are debating filing a claim, perhaps because you feel uncertain about putting a monetary figure on an injury or death, please remember this fact — Product liability suits serve a public good and help prevent future product-related injuries.